Thanks Joel for Hosting Images & Words This week. Our Theme is Pot Luck and I have chosen a photo taken the previous week, down by the unseasonal wet spring, seaside. They say this will be a wet spring and it seems they are right. Good for the garden and the hills around here have remained green. Now I wonder if my Flame tree will bloom at Christmas, because these are the right conditions for it to bloom beautifully. I like this. Relaxing place. I don't think I have seen the sea for a couple of years, and then only from a plane. Lovely photo. Thanks Dawn it was not too cold down there it was actually rather tropical. Hardly a soul around and yes relaxing Lynda. Come by often Pat I will fulfill your seaside needs. lol. Wow is that incredible Milli... and this pictures speaks 1000 words easily. Thanks for all your comments. I am having a glitch with my image from photobucket not showing at times so I have also uploaded to Multiply in a special album and added the Multiply version here too. Sorry for any inconveniences caused. I love the words. How soothing they are, especially against your photo of the ocean. 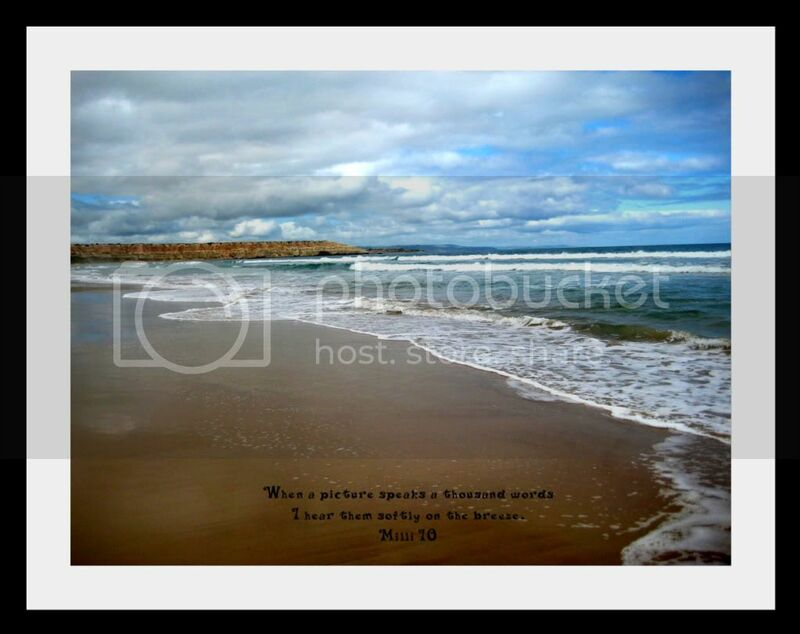 What a beautiful sea scape and the words are just lovely. Your chosen words fit perfectly ! Images & Words #76 " Pot Luck "
Wow, beautiful image Milli made more potent by your words. What wondrous things you must have heard on this breeze. Thank you for this rather easy subject so I'm assuming that "POT LUCK" means just that. I like your saying a lot Milli, as a photographer, I strive to do just that ! Stunningly beautiful image - lovely words, dear! Ahh, Milli...this is beautiful! The perfect composition and a very lovely choice of words! I'd love to have a copy of this one for my living room. WOOOOW I wish I was there on the shore. Just Beautiful~!!. Those words go perfect with the photo. my favorite scene choice too. and you capture the words quite well through your lens! So beautiful! I love the ocean. All the colors, and the sky is gorgeous too. :) Lovely entry! Your composition is really wonderful! What a great shot Milli! Perfect composition indeed and beautiful colors!